Help a girl named Jun on her adventure through a magical world in this visual novel match-three game. 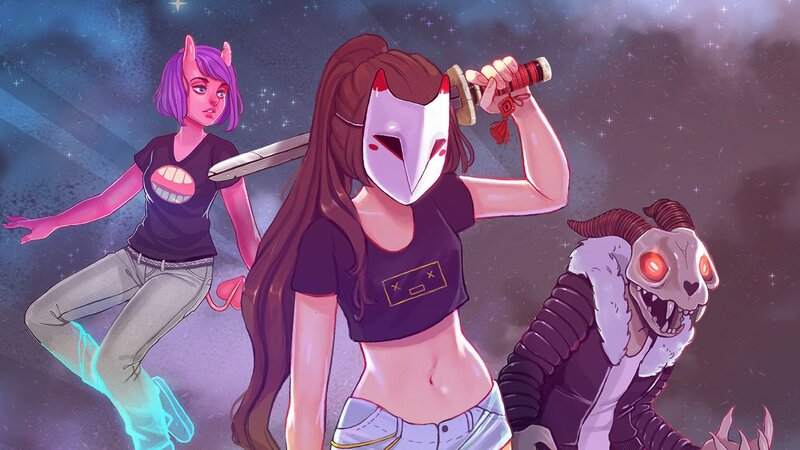 The World Next Door is a visual novel meets match-three action game that takes players to a version of Earth that’s connected to a world called Emrys by portals that open only once every generation. The game stars Jun, a young girl who is allowed to travel through the portal into Emrys, but quickly finds herself trapped in this magical world. In The World Next Door, players will explore a variety of environments, such as a town square and a school, as they interact with Emryns, the magical beings who live in Emrys. The storyline plays out through text-based cutscenes, and players will frequently have the ability to choose Jun’s responses during conversations. This includes the ability to ask characters questions to learn more about the in-game world. At certain points in the story, players will be challenged to complete match-three battles against a variety of enemies by casting spells using runes that appear on tiles on the ground. Runes come in different colors, and trigger different kinds of spells. Players can move runes around the battlefield to create the spells they’d like to cast. So long as three-or-more matching runes are touching in some way (not necessarily in a straight line), players can cast a spell. Check out the first 15 minutes of The World Next Door in our SuperParent First Look below to see if this is a game your teens would enjoy. Please note there is limited strong language in the video.